I spend a lot of time writing about survival skills, survival hacks, different survival tips and tricks, unexpected items to go in your survival kit and even the items that cowboys took with them every day to survive in the wild west but I rarely talk about survival clothing. Today is different, in his post I’ll let you in on the 4 layers of cold weather clothing that could save your life when you’re stuck in cold weather. I found this post on commonsensehome.com and it is very detailed. Below they review the best cold weather clothing tips from the field manual for the U.S. Antarctic program. In general, the rule of thumb for living in a cold environment is to get lots of insulation between you and the environment, and to remove that insulation layer by layer when you get warmer. You need a survival clothing system that allows you to shed layers quickly and easily before you get damp from perspiration. Several thinner garments will serve this purpose better than one bulky overcoat. Your first layer should be your long underwear. It should fit snugly against your skin and be made of a nonabsorbent material. This layer works by wicking away water and keeping your skin dry. Synthetic fabrics such as polypropylene work the best, whereas wool and silk are the best natural fibers. Cotton is a poor choice because it absorbs water and holds the water next to your skin where it will cool you off. Personal note – I have thick calves and broad shoulders, so I usually buy men’s long underwear, as the women’s tends to be cut skimpy. While the old adage that you lose 40% of your heat through your head isn’t accurate (the head is similar to other areas of the body for heat loss per square inch), you still need to protect your head and face. There are dozens of options to protect your head from cold weather, and layering is a good idea in extreme cold. 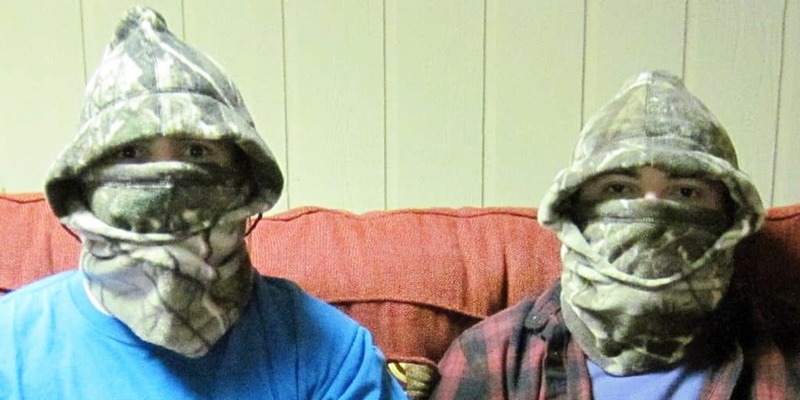 You can wear a “ski mask” or balaclava with a trappers hat or with a full parka snorkel hood. Wool and silk remain good 1st layers for your head for sweat. Fortress survival clothing Hot Socks are an insulating foot cover that can be worn inside as a slipped or outside as a boot liner. They are not designed for outside wear as a stand alone item. (The name is “Hot Socks”, not “Hot Boots”.) You can replace your existing boot liner or wear them inside a larger muck boot. I’ve been wearing mine around the house as slippers because they don’t make my feet sweat. Get a size larger than your regular shoe size to accommodate thicker socks or boot liners. If you plan to double layer socks, you might need two sizes larger. If possible, try on similar boots with the socks you plan to wear outside. Amazon is good with size swaps for Baffin, so keep that in mind if you find it too large or too small. For 0°F to -10°F, any decent boots that will fit your feet while wearing thick wool socks will keep you warm enough. For colder temps, see below. Early in 2015 I was contacted by Dale Lewis of Fortress Clothing, who introduced me to the best cold weather clothing I’ve encountered to date – Fortress Clothing. The boys and I did some testing at the tail end of winter, but we decided to save the review for when folks started thinking more about winter preps. 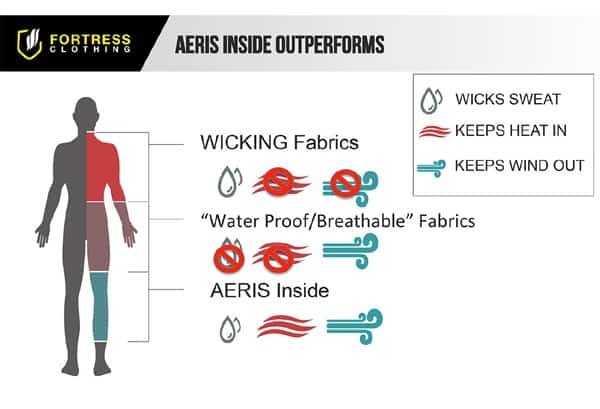 How Does Fortress Survival Clothing Work as Cold Weather Gear?